Last week, anyone who’s anyone in the fashion industry packed their bags and hopped on the nearest mode of transportation to spend some time in New York City. Now, it would still be a great experience to attend any of these events in person, but a new trend in the fashion industry allows the average person to”go to fashion week” without actually jet setting. Right off the runway, social media is the Fashion Industry’s Hottest Trend. Because this new trend isn’t gaucho pants, or Ugg boots, it will not be going out of style any time soon. Social media started impacting fashion week months before it even started this year. Designer Rebeeca Minkoff launched an Instagram contest with a once-in-a-lifetime opportunity to attend Mercedes-Benz Fashion Week. All you had to do to be entered was take an Instagram image showcasing how you rock Rebecca Minkoff styles and tag the image with the hashtag #RMCatwalk. The luck winner,Kate Ogata, did just that and won two tickets to the runway show. She then returned the favor through none other than social media, as she bloggedher way through the grand prize. The most sought after seats of fashion week have just been snatched up! By who? Well, that would be you. With the use of social media, anyone in the world can feel like they have front row tickets to their favorite designer’s new collection. Twitter snapshots, Pinterest boards, Tumblr blogs, and Youtube livestreams all give up-to-the-minute visuals of everything going on during the events, so you won’t miss one gown, shoe, or outrageous hair accessory. The immediacy of the social media that was used during Fashion Week allowed for “real time fashion analysis of consumer behavior.” This immediate feedback from customers is unlike anything that Fashion Week has ever seen before. The brand will immediately know if its target market is hyped up about the new collection, or if they should pull the plug on similar designs that are in the works. Only Google would be able to make geek look chic. 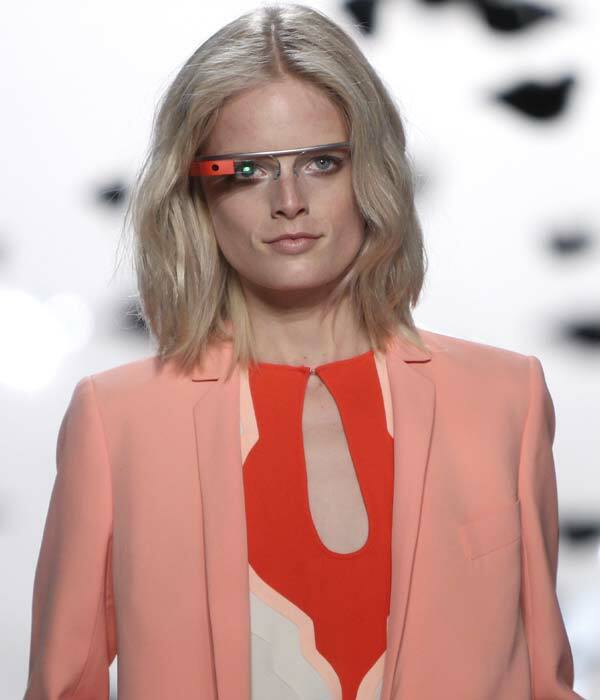 This new piece of technology made its debut as an accessory during the Diane Von Frustenberg runway show. This product quickly moved through the social media sphere as pictures of models wearing the glasses surfaced on the DVF Facebook page, as well as a Youtube video that premiered on their Google + page. I think social media and fashion are a pair that won’t be breaking up any time soon. What do you think? Leave your opinions in the comments down below! MERRY CHRISTMAS , HAPPY HANUKKAH, HAPPY KWANZAA !